Katy Guillen picked up her first guitar at eight years old, sitting in on local Blues jams in her hometown of Kansas City, Missouri when she was fourteen. When asked to open for Royal Southern Brotherhood, Katy put together a trio, forming Katy Guillen and the Girls in 2012. 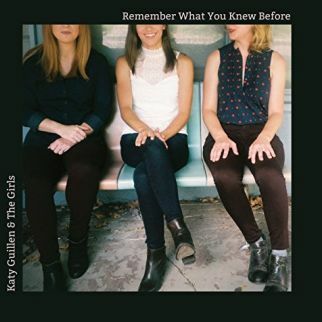 Roots Rock is the backing sound for their recent release, Remember What You Knew Before, Blues still influencing the music of Katy Guillen and the Girls. 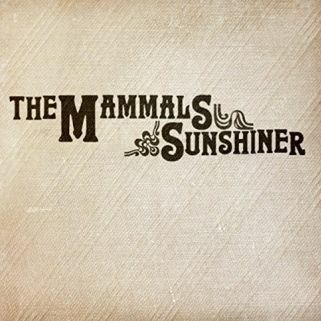 An Indie Rock shuffle surrounds the gentle melody of “Waiting Till the Day”, Spanish guitar licks pull the strings on “Quiver”, an aggressive bass line mirrors the decisive edge of “Can’t Live Here Anymore”, and Folk Rock supports the reverie that ignites memories in “Funny Place”. A late night turns into an mid-afternoon confession in “Biwi” as Remember What You Knew Before opens looking for a getaway in the caffeinated edge of “Slingshot” while Katy Guillen and the Girls use a slide guitar to accent the garage rock accusations of “Humbucker”, roll “The Load” out on a sleepy Blues groove, and sing a south-of-the-border song for “Gabriela”. Much has been said about Lubbock, many songwriters and cherished Roots musicians grew up in the Texas Town. Bob Livingston spent his early years growing up in Lubbock not knowing the songwriter cred his hometown offered, just knowing that he wanted to write songs. Bob moved to Austin, Texas, in place to befriend Jerry Jeff Walker when he arrived from New York, and he was in Los Angeles when Michael Martin Murphey got his first record deal. 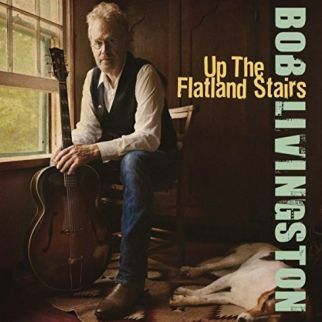 Both musicians show up as co-writers on the latest Bob Livingston release, Up the Flatland Stairs. 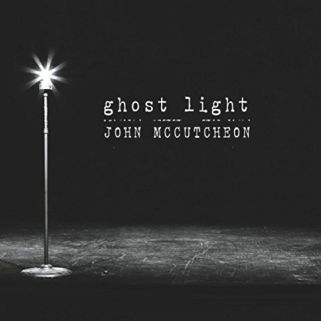 He is joined on the album by other Lone Star state players with Kelly Mickwee (solo, The Trishas, Shinyribs) lending vocals on “Cowgirl’s Lullaby”, “The Early Days”, and “Caution to the Wind” while Eliza Gilkyson duets on “That’s the Way Things Go”. Up the Flatland Stairs opens on a nod to Jerry Jeff Walker with his “Shell Game” and offers advice for finding dreams in “The Usual Thing” as Bob Livingston shakes and strums on bonus track (“Nervous Breakdown”), hears opportunity knocking in “Can’t Get Enough of It”, and picks out quiet notes to make a love song list for “A Few Things Right”. 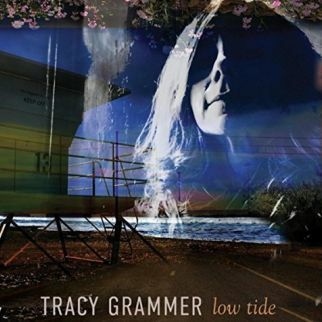 Like crystal glass and delicate china, the vocal of Tracy Grammer speak with a fragility yet has a tight grip on the strength to remain sturdy. 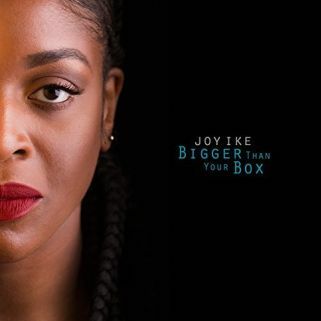 Her recent solo album, Low Tide, matches her seasoned delivery rising up for the journey of “The Verdant Mile”, the rhythm a tense heartbeat as Tracy Grammer sings/speaks on a funky foundation for “Mercy”, marches confidently into the dreamscape of “Cloudbusting”, and views a cycle for love in “Daffodil Days”. Tracy Grammer achieves her goal of presenting explorations of loss, love, and family in a manner that is personal, playful, and poetic. A snickering electric guitar line reflects the smirk of Cain when he hits “The Mark” as Tracy Grammer relives troubled times, learning to let go in “Free”, celebrating memories in the sunshine bounce of “Good Life”, and sinks deep into character to face failures in love with “Hole”. Folk music is a go-to cover for many styles. 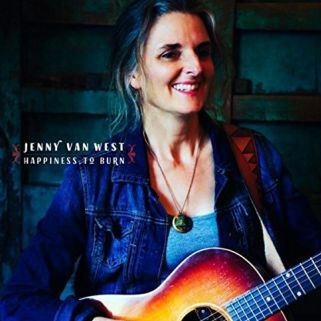 In its infancy, a guitar and songwriting came together to tell stories from either their own lives or the what the story saw as possible truths from the passersby. 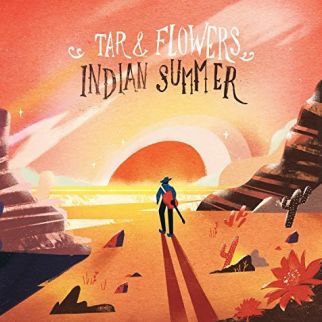 Tar and Flowers stands in the origins of the style on their recent release, Indian Summer, relating “Opium” on somber chords, adding Latin percussion to the Folk Rock of “Ten Ton Heart” as frenetic notes herald the rumble of “Rumor”. Indian Summer opens with the dealings of “Danny”, draws Country Folk on the L.A.County line in “The Lovin’ Kind”, and layers instrumentation that surrounds the dreamscape story of “August” as Tar and Flowers quietly revs “This Machine” with fingerpicking and sings of “Summer at Michael’s House” backed by ghostly handclaps and determined rhythms. 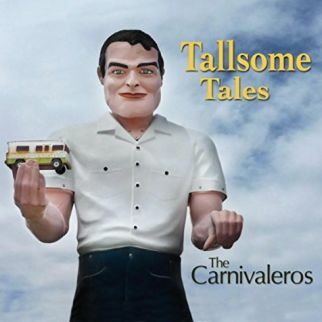 A collection of stories is gathered for Tallsome Tales, the latest, and sixth, album release from The Carnivaleros. The band are storytellers, wrapping characters in multi-faceted gypsy rhythms (“Belinda Bonita”), slow-moving piano lounge soundscapes (“The Scarlet Oak”), sideshow organ romps (“The Purple Door”), Left Bank cabaret moods (“Rudy Got Caught Again”), and dusty back road memories (“To Be Home Again”). Gary Mackender is the accordion-playing bandleader for The Carnivaleros, the music of Tallsome Tales giving each track a powerful rhythm section that offers equal musical opportunities for banjos, mandolins, guitars, baritones, saxophones, trumpets, and trombones. 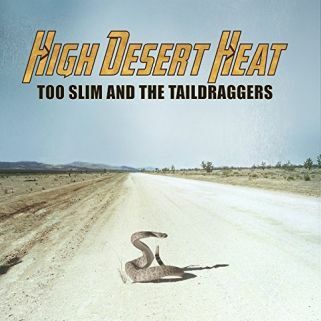 The instruments have their say in “The Telling Kind” as Tallsome Tales lets a guilty man confess with “Just Fitting End” while The Carnivaleros put a second line beat underneath “Let’s Dance” and introduce “Young Danny Lee” on an Irish-inflected waltz underneath a western narrative.